Forthview and Hle Bee Schools have a partnership link supported by the DfID/British Council's Global Schools Partnership Programme. Fiona Vacher and Irvine Wright, Forthview teachers are visiting Hle Bee this summer. Mary Gillespie, Headteacher of Pirniehall, our neighbouring school in Edinburgh and 2 of her teachers are also travelling to Say Ta Nar School, their link Burmese school. Check our her blog on www.pirniehall.blogspot.com. Charity, the young teacher, is a Burmese woman who has studied hard in Chiang Mai and has sponsorship to go to Hong Kong to study Law this year. and by her commitment to her people. Introducing ourselves with an action. Fiona and Dr Thein Lwin visit the second class. Irvine getting stuck into the lesson. 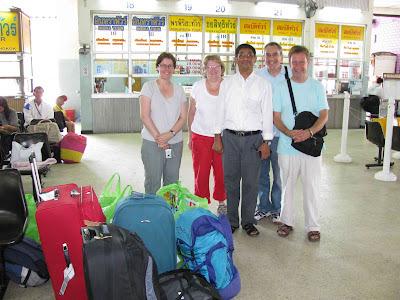 Dr Thein Lwin takes us to Chiang Mai bus station. Before we start to show you Hle Bee this year, let us give you a glimpse of Dr Thein Lwin's Weekend School. Last year, The Thinking Classroom Foundation ran 2 schools in Chiang Mai but many difficulties with the Thai authorities meant they had to close these schools. Now they can only run a reduced service to the children on Saturday and Sunday. We visited there on Saturday morning before we went to Chiang Mai at 11am. 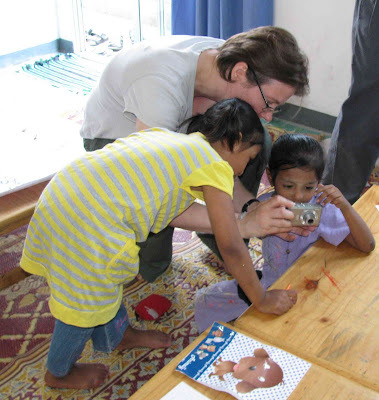 It was a great introduction for Irvine to learning with Burmese children. He thought it was brillliant. Trotting through the last day! Farewell Fiona and Irvine. Haste ye back! Scottish Country Dancing in Hle Bee - SUPERB! 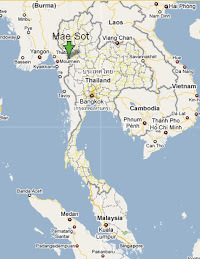 It's time to go to Mae Sot again.